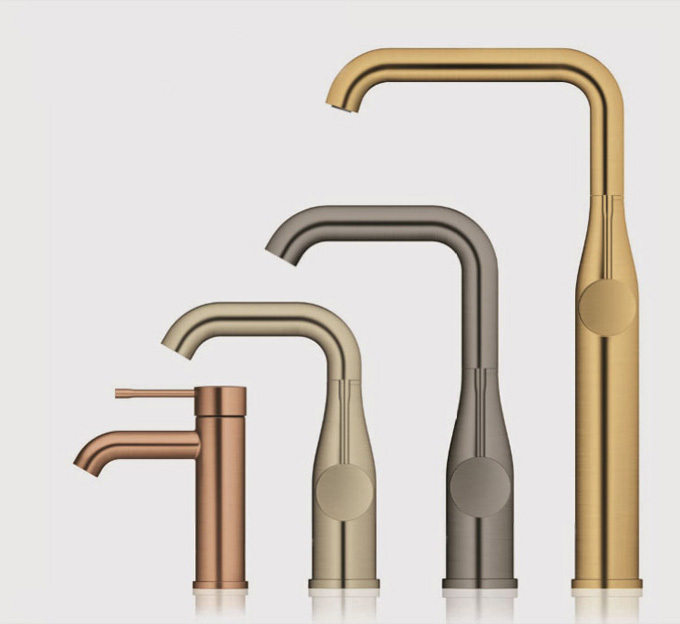 2018 promises more greatness from Grohe to style your home with products that deliver so much more than just function. 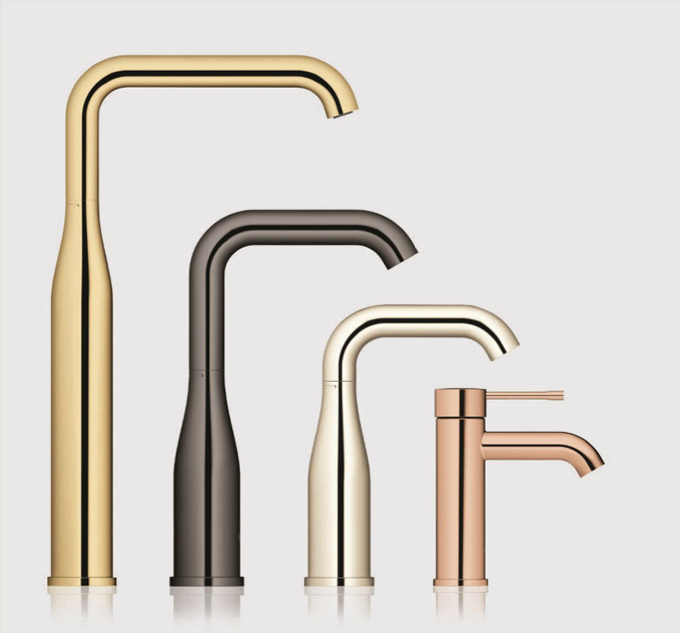 The new range of tap colours and style are inspired by emerging trends at international design shows. The new collection offers a range of colours from Warm Sunset to Cool Sunrise, while offering either a brushed or polished finish. These taps are also available in SuperSteel and chrome to allow you to fully customise these to your requirements. The 2018 Essence collection is both exciting and sophisticated, with a variety of unique colours that add character and a personal touch. 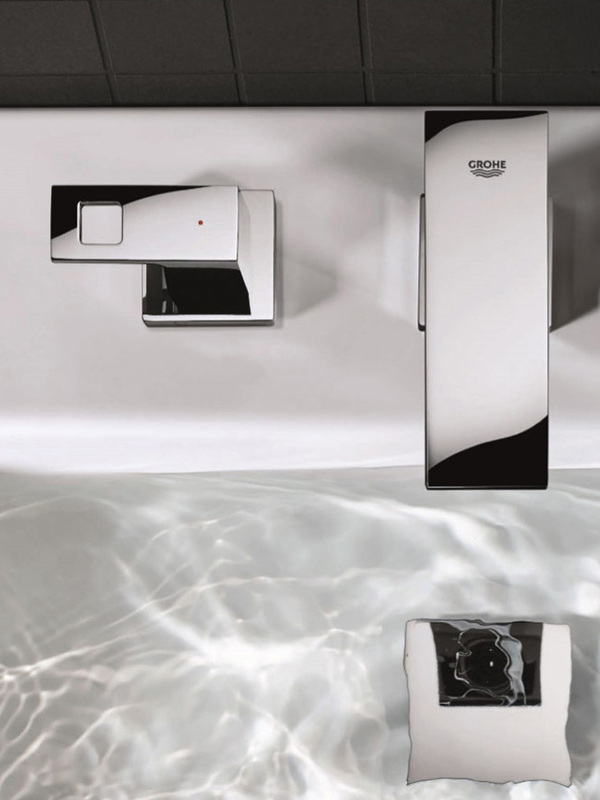 Grohe offers the new Eurocube range that suggests the concept of lifestyle manageability through straight lines. Eurocube evokes the dynamic busy lifestyles we lead and instead offers a moment of clarity with the dramatic beauty of the cube. Concept can help you create a truly stunning design for your project, using the very latest in products, textiles and trends. Visit our stunning design based showroom, for examples of our work on both private client projects and luxury new developments, where we start work at an early stage – often before the project is out of the ground! Our design team will advise you on your “initial architects bathroom layouts and guide line room sizes” and we will recommend the optimal bathroom layouts to create luxurious and sophisticated individual en suites . This entry was posted in Luxury Bathrooms, New Products and tagged bathroom design gerrards cross, bathroom design Maidenhead, bathroom design virginia water, bathroom designers ascot, bathroom designers Beaconsfield, bathroom designers Henley, Bathroom designers Oxshott, bathroom designers sunningdale, Bathroom designers Weybridge, bedroom design marlow, Grohe 2018 tap colours, GROHE bathroom design, Grohe copper taps, Grohe Essence Warm Sunset, Grohe Eurocube Cool Sunrise, luxury bathrooms, Tap Colours And Styles, Taps By Grohe. Bookmark the permalink.